Selemix Range and Specifications - Andrews Coatings Ltd.
Selemix is a brand specialising in industrial coatings system, suitable for all painting or surface protection in the light industrial marketplace. PPG is the parent company of Selemix – PPG are also known for their Sigma Marine and protective coatings. PPG is a global manufacturer of coatings, flat glass, fiberglass and industrial and specialty chemicals with around 150 production locations in nearly 70 countries. With an extensive range of products, Selemix serves many markets from agricultural equipment and glass painting to shop fittings and structural steel. This System line from PPG Industries provides the perfect painting performance for an impeccable finish whatever your industrial coating needs. Glass – Selemix provides high quality fast drying products dedicated to the Glass industry. 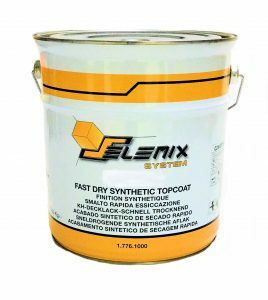 We understand that glass paint needs to be highly robust, and well as giving excellent coverage to minimise process time in painting: Selemix surpasses these requirements. Agricultural Equipment – Agricultural equipment paint from Selemix provides unique coating solutions that protect against the daily challenges caused by external exposure that threaten not only your equipment, but your brand and ultimately reputation. Construction / Earth Moving Equipment – Construction equipment paint from Selemix is robust, fast drying and ISO 12944 certified. Within the construction industry each product needs to be reliable, tough and with abrasion resistant finishes all of which are main features and benefits of the range. Light Industrial – Selemix is suitable for all painting or surface protection in the light industrial marketplace.From benches and barbecues to containers and cabins we can supply a wide range of product systems tailored to suit every need. Airport Ground Support Equipment – Selemix is suitable for application on all Airport Ground Support vehicles and machinery. This product range is ideal as it is understood that this equipment needs to survive harsh environments withstanding aviation fluids, corrosion and UV degradation. We can supply the full range of Selemix products. However given the technical nature of the products, and the fact that many of the products need to be used in conjunction with each other, we prefer too supply them within a spec, to ensure that the products are used to the best of their abilities. If you would like a spec using the Selemix range, or if you are interested in any of the products, then please contact us on 01902 429190. Alternatively, email us at info@andrewscoatings.co.uk.